Chiropractic care is a safe, effective, and highly researched complementary form of health care. Chiropractors treat a wide variety of musculoskeletal conditions using a large range of techniques. By performing a thorough history and physical examination, chiropractors aim to find and treat the source of the symptoms rather than focusing on the location of the pain alone. Chiropractors assess patients for disorders related to the spine, pelvis, extremity joints, and their effect on the nervous system. Click the links below to find out more about each service. One of the most common chiropractic treatments is the adjustment. An adjustment is a non-invasive, manual procedure that is designed to restore motion to a restricted joint in the body. Rehabilitation programs help to regain the strength, endurance, and flexibility that may have been lost with injury. Chiropractic is a drug-free approach to your animal’s health care. It is the science, art, and philosophy that utilizes the inborn recuperative powers of all living creatures. Athletic taping can prevent injury or facilitate an injured athletes’ return to competition. 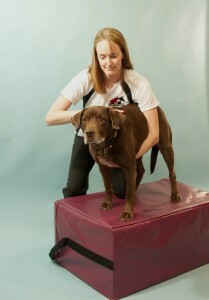 Muscle release therapy (MRT) is a hands on, soft tissue movement based technique that treats problems/injuries with muscles, tendons, ligaments, fascia, and nerves. Orthotics are specially designed to relieve pain, correctly align the body, and support foot, leg, knee, and hip function. Dr. Larry Webster, founder of the International Chiropractic Paediatric Association created this technique as a safe means to restore proper pelvic balance and function for pregnant mothers.